The Reserve Bank of India’s circular issued on 12 February last year was one of the most important central bank circulars in recent years. It put an end to various loan restructuring schemes and required banks to take defaulters through the bankruptcy process. After years of kicking the can down the road, banks were forced to recognise non-performing assets. The circular was issued as part of the direction making powers of the RBI. There is no doubt that it was critical to clean up banks’ balance sheets. However, the manner in which it was done put the focus on the lack of a proper regulation making process at the RBI. RBI issues a number of circulars, guidelines and master circulars throughout the year. These broadly constitute “subordinate legislation” or law, that is made by regulators through powers vested in them by Parliament. In addition are directions, like the ones used for the 12 February circular, that do not have to be tabled in Parliament. As highlighted in the Financial Sector Legislative Reforms Commission (FSLRC)’s report, when powers to write subordinate legislation are delegated by Parliament to unelected officials, then the arises for proper checks and balances. Instead of many kinds of rules, circulars, guidelines and directions, the board of the regulator needs to be accountable for making regulations. Management or officials within regulators should not be allowed to issue regulations as and when they wish to, with no accountability. A closer look at the law shows that regulation making at the RBI does not have this kind of clarity. The RBI Act Section 58 gives regulation making powers to the RBI board. It is not an advisory board. It, however, allows the board to delegate all its powers. 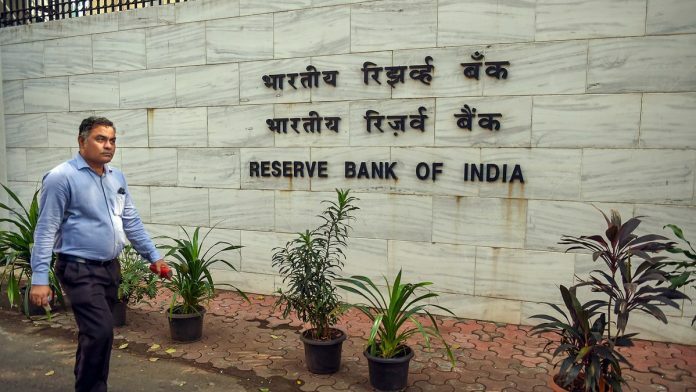 Since there is widespread confusion about this issue, with some arguing that the RBI board is only advisory, while others claim that it has the power to make regulations, it is important to quote the relevant sections of the law. Section 58 of the RBI Act, 1934, deals with the “power of the Central Board to make regulations”. (1) The Central Board may, with the previous sanction of the [Central Government] [by notification in the official Gazette] make regulations consistent with this Act to provide for all matters for which provision is necessary or convenient for the purpose of giving effect to the provisions of this Act. A reading of the sections shows that the power to make regulations vests with the Central Board. The Central Board has the power to form committees of the board and it may delegate its powers to such committees. Under this section, the RBI has made regulations through which it has delegated all its powers to a committee. This committee has any board member who is “in the area in which the meeting is held”. (i) A committee which shall be called the Committee of the Central Board, consisting of the members of the Central Board who may at the time be present in the area in which the meeting is held, shall ordinarily meet once a fortnight or at such earlier intervals as the Central Board may from time to time decide at the office of the Bank or any other place in the area in which the Governor, or in his Committee of the Central Board absence the Deputy Governor authorised by him under the proviso to Sub-section (3) of Section 8 of the Act, has his headquarters for the time being, to attend to the current business of the Bank. A reading of this regulation shows that the Committee of the Central Board shall have full powers except where the functions are reserved by the Act to the Central Board. And the Act vests the power to make regulations with the Central Board under Section 58. The Central Board has the power to delegate its powers to make regulations to theCommittee, which it has done to a committee with no specific members but those who happen to be in the area. This is too casual an approach for making regulations that impact thousands of businesses, individuals and lakhs of crores of rupees. Last year’s circular raised a lot of questions about whether the RBI had the power to issue it. The circular was a step in the right direction. Yet, it has drawn attention to the lack of clarity in regulation making at the RBI. This opportunity should be used to revisit the issue, make legislative amendments and remove the confusion.